Across my more than two decades of selling real estate in the St. Louis area, the ongoing opportunity to help people reach milestones in their lives is what means the most to me. Whether it’s the broad smile on a first-time homebuyer’s face; the elated expressions from the couple who traded in their suburban estate for a cool condo in the city; or the calm relief in the eyes of siblings who just sold their parents’ longtime home… These are the moments I strive for. Life has many stages. I draw great inspiration from the invitation & privilege to help you transition from one stage to the next, whatever that may be for you. With a concierge-style approach to real estate, my team and I deliver our clients the respect they deserve. 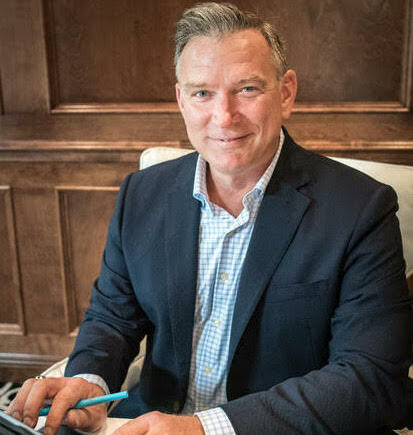 Personally, I thrive when customizing services to meet your unique needs and I am dedicated to doing everything possible to make every real estate transaction flow smoothly. I take great time to get to know your goals yet I appreciate the need for flexibility; I’m ready to adjust along with you! By walking you through every step of buying or selling a home, and educating you along the way, you’ll be prepared to make well-informed, confident decisions about your purchase or sale. In fact, the idea that “information is power” is never more true than in real estate. An empowered buyer has the tools to make good decisions and will know what questions to keep asking. An empowered seller will thoroughly understand market conditions and have a firm grasp on how to prepare and market your home. It is my pleasure to spend time understanding your needs and informing you in detail about all of your options. I’ve been in this business long enough to know better than to tell people they won’t feel a little anxiety during the process of buying or selling. Of course they will; this is a major life step. But because of that experience, I pride myself on anticipating the times at which anxiety and stress can arise, preparing you with knowledge in advance, and being available to walk you through your questions or concerns. I welcome the challenge of making the experience of buying or selling a home a memorable one for all the right reasons. Truth be told, it brings me a great sense of accomplishment knowing that I’ve helped make people’s lives easier and that I’ve made friends along the way. I feel it is important to share my passion for real estate and give back to fellow agents in our area. I am fortunate enough to do this by serving on the St. Louis Association of Realtors Inclusion Advisory Board and Contracts and Forms Committee. When I’m not doing what I love most – living and breathing real estate – you can find me painting in my art studio; hosting art exhibits; studying and traveling abroad; or helping out in the community. I’m a passionate supporter of a variety of causes for children, including Big Brothers Big Sisters, Angels’ Arms, Cooperative for Education, & I have sponsored several children in Guatemala and around the world through Unbound.org.